Enjoy the Greece you know, discover the Greece you don't. 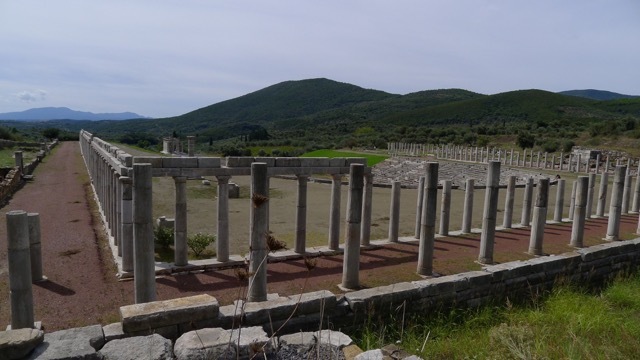 Messene, the 2nd largest state of Peloponessus, being the capital and cultural center of Messinia, was a very significant city-state in antiquity. The area is extremely fertile and lush, and hardly surprising, many battles were fought for the control of the region. 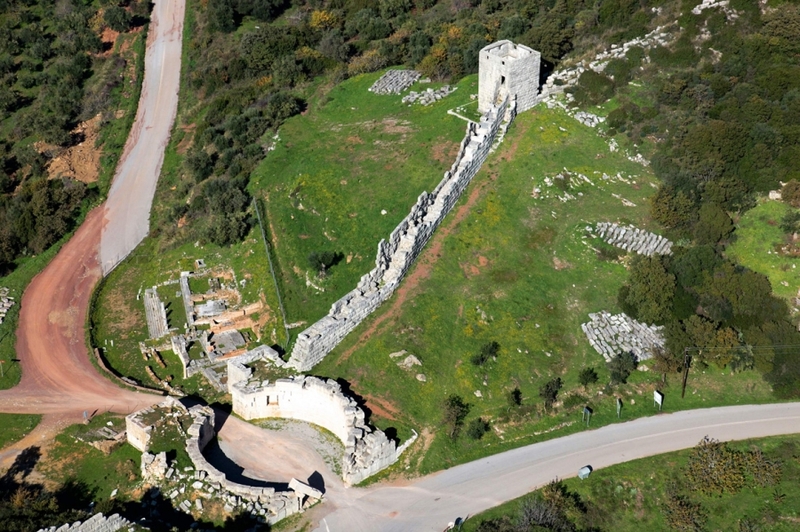 A 9km stone strong wall, with towers and battlements, was built in 370BC around it, making it one of the most strongly fortified places in ancient Greece. 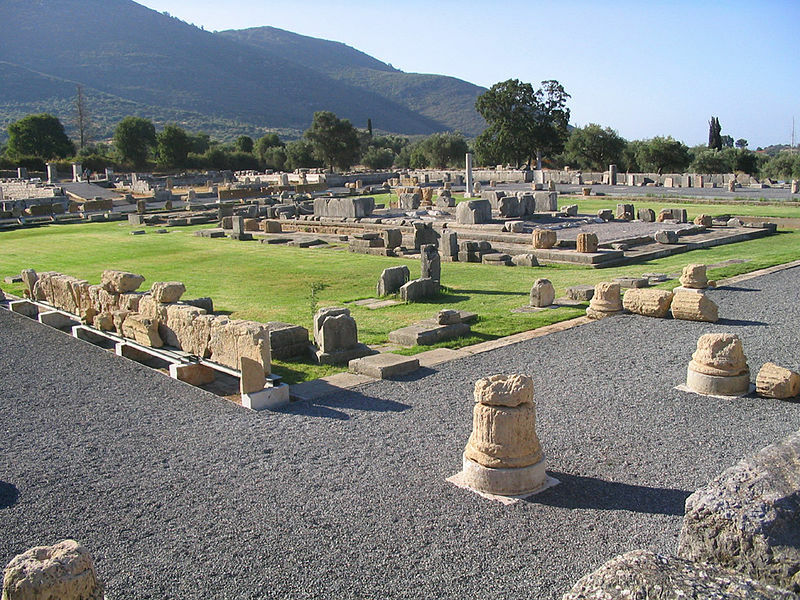 The ruins of the archaeological site, are very impressive, spread out across a small peaceful valley of Messinia. With the Arcadian mountains on one side and the valleys down to the sea on the other, the beauty of the scenery is amazing and the view breathtaking. 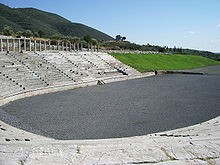 The site, is one of the best preserved in Greece, includes a theatre - one of the biggest in antiquity- the Arsinoe fountain house, an agora surrounded by stoas, which covers an area of about 40 acres with temples of Zeus and Poseidon, the sanctuaries of Demeter and Dioskouroi, an Asclepieion, a beautiful stadium and a gymnasium, a funerary monument, public buildings, houses, the monumental fortifications of the city etc. It also includes an early Byzantine Basilika. Peloponessus is full of important archaelogical sites. 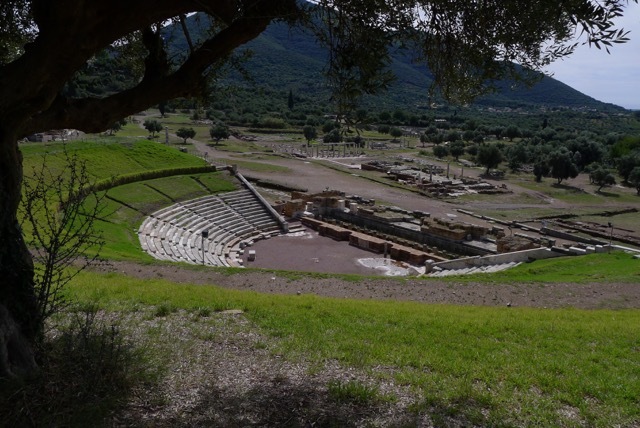 Mycenae, Epidaurus, Olympia, Nafplion, Mystras, Monemvasia. 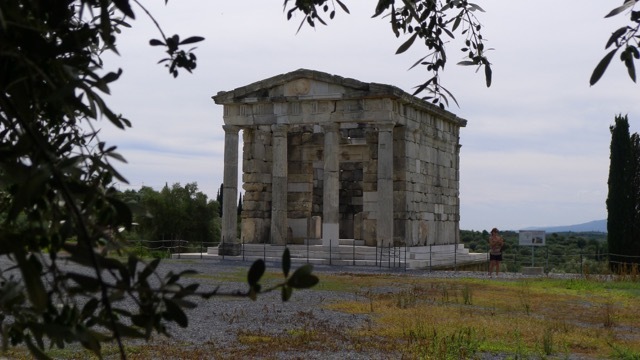 Combine the visit to ancient Messene in a 2 day tour with another of these amazing archaeological sites and "discover Peloponessus", or, combine it with something quite different and visit the enchanting gorge of the lakes and waterfalls of polylimnio Messinias. The above prices include transportation, road expenses, and taxes.